At Raffles Institution, the library is a popular place that offers students a quiet study area, an ideal location for academic research and a treasure box of knowledge for the mind. With its role being the essential component of every school, it is vital to upkeep the library’s comfortable learning space to allow every student to utilize it to its full potential. That is the role of a librarian! Library Society is a student-centered service CCA where each member takes pride in his/her role as student librarian and strives to contribute to the school by serving at the Shaw Foundation Library. CCA meetings are held on Wednesdays from 2-3pm but are not conducted on a weekly basis. Student librarians are required to clock in 100 hours for two years (inclusive of meeting hours), that is 60 hours in Year 5 and 40 hours in Year 6. Any additional hours completed by student will be counted directly towards CIP hours. “Many people have the impression that the Library Society consist of a nerdy bunch of people who discuss books and do nothing but shelving. While it’s true we love books and frequently have impromptu book discussions during our meetings, Library Society isn’t just about “packing and shelving books”. It is much more than that!” said Koh Hui Ling (14S03B). As student librarians, we are involved in basic library duties such as shelving, paperwork and stocktaking. But beyond that, we also aims to engage the school with annual events, such as Year 5 Project Work research lectures and the highly anticipated Inter-house Challenge Games (IHC). Additionally, Library Society also offers opportunities for students to give back to the larger community by initiating library-related service projects. 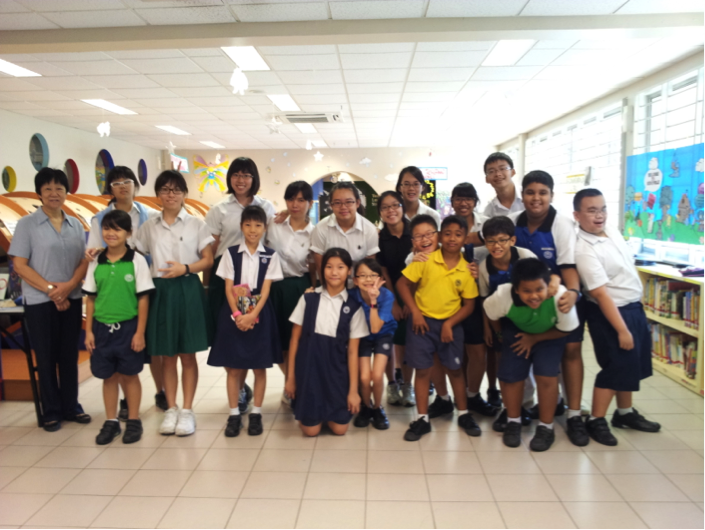 Past projects include the Quotes project, a Reading Assistance Programme and an Audio-books project for the Singapore School for the Visually Handicapped. Through these projects, students are able to apply the skills learnt, develop character and teamwork, as well as display their leadership qualities in the different sub-committees they are assigned to. 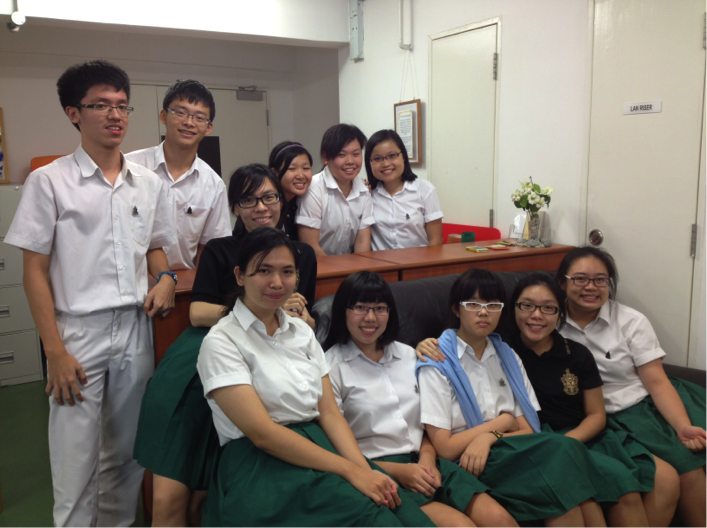 Besides having a platform to serve, other perks of joining the CCA include a warm and cozy CCA room exclusive for student librarians (with amenities like sofas and TV), flexible CCA timings and a very close-knitted CCA. 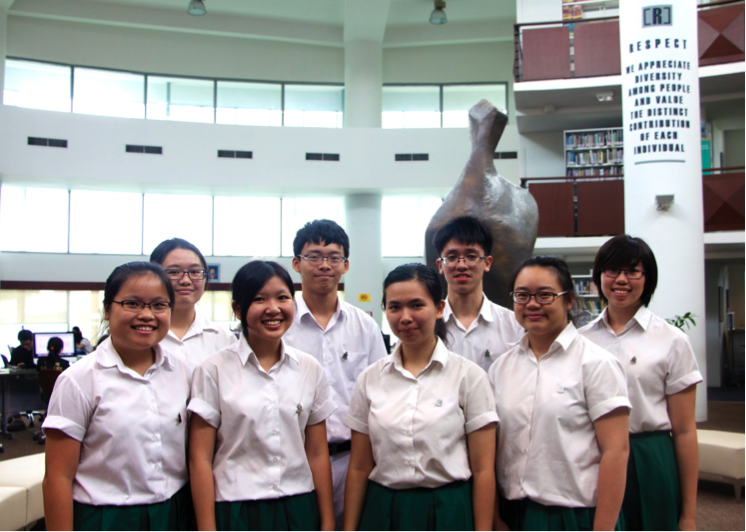 “Library Society is like a family, with members who share the same passion and great teachers-in-charge to guide you along,” said Ng Shi Min (14S03U). So if you have a burning passion to serve the school community and wish to gain a cozy community of friends at the same time, then consider joining Library Society! We look forward to having new members joining us in our vibrant and fun CCA journey in 2014!